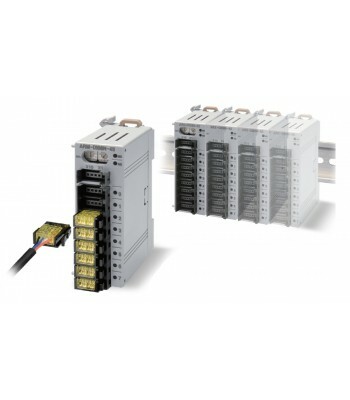 Remote I/O, Modbus RTU RS 485, DC NPN input 8 points, Control input : 10 - 28 VDC, 10mA / contact, .. Remote I/O Device Net,Expansion module, Relay output 8 points, Control output NO (1a) 2A 250 VAC, P.. Remote I/O, Modbus RTU RS 485, DC NPN output 8 points, Control input : 10 - 28 VDC, 0.3A / contact,.. Remote I/O Device Net, Expansion module, DC NPN input I/O each 8 points, Control input 10 -28 VDC, 1.. Remote I/O Device Net, Expansion module, DC PNP output 16 points, Control output 10 - 28 VDC, 0.5A /.. Remote I/O Device Net, DC NPN input I/O each 8 points, Control input 10 -28 VDC, 10mA / contact, Con.. Remote I/O Device Net, DC PNP input 16 points, Control input 10 - 28 VDC, 10mA / contact, Power 12 .. Remote I/O Device Net, DC NPN output 16 points, Control output 10 - 28 VDC, 0.5A / contact, Power 12.. Remote I/O Device Net, DC PNP output 8 points, Control output 10 - 28 VDC, 0.3A / contact, Power 12 .. Remote I/O Device Net, DC PNP input 8 points, Control input : 10 - 28 VDC, 10mA / contact, Power 12.. Remote I/O Device Net, DC NPN output 8 points, Control output 10 - 28 VDC, 0.3A / contact, Power 12 .. Remote I/O, Modbus RTU RS 485, Expansion module, DC NPN input 8 points, Control input : 10 - 28 VDC.. Remote I/O Device Net, DC PNP input I/O each 8 points, Expansion module, Control input 10 -28 VDC, 1.. Remote I/O Device Net, AC input 8 points, Control input 75 - 250 VAC, 13mA / point, Power 12 - 28 VD.. 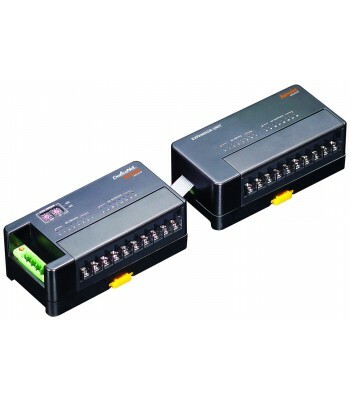 Remote I/O Device Net, DC NPN input 16 points, Control input : 10 - 28 VDC, 10mA / contact, Power 1.. Remote I/O, Modbus RTU RS 485, Expansion module, DC PNP output 8 points, Control input : 10 - 28 VD.. Remote I/O Device Net, DC PNP output 16 points, Control output 10 - 28 VDC, 0.5A / contact, Power 12.. Remote I/O Device Net, Expansion module, DC NPN input 16 points, Control input 10 - 28 VDC, 10mA / .. Remote I/O Device Net, Relay output 8 points, Control output NO (1a) 2A 250 VAC, Power 12 - 28 VDC.. Remote I/O Device Net, Expansion module, DC NPN output 16 points, Control output 10 - 28 VDC, 0.5A /.. Remote I/O, Modbus RTU RS 485, DC PNP output 8 points, Control input : 10 - 28 VDC, 0.3A / contact,.. Remote I/O Device Net, SSR output 8 points, Control output 30 - 250 VAC, 1A / point, Power 12 - 28 V.. Remote I/O, Modbus RTU RS 485, Expansion module, DC PNP input 8 points, Control input : 10 - 28 VDC.. Remote I/O Device Net, DC NPN input 8 points, Control input : 10 - 28 VDC, 10mA / contact, Power 12.. Remote I/O Device Net, Expansion module, DC PNP input 16 points, Control input 10 - 28 VDC, 10mA / .. Remote I/O Device Net, DC PNP input I/O each 8 points, Control input 10 -28 VDC, 10mA / contact, Con.. Remote I/O Device Net, Expansion module AC input 8 points, Control input 75 - 250 VAC, 13mA / point,.. Remote I/O, Modbus RTU RS 485, DC PNP input 8 points, Control input : 10 - 28 VDC, 10mA / contact, .. Remote I/O Device Net, Expansion module, SSR output 8 points, Control output 30 - 250 VAC, 1A / poin.. Remote I/O, Modbus RTU RS 485, Expansion module, DC NPN output 8 points, Control input : 10 - 28 VD..